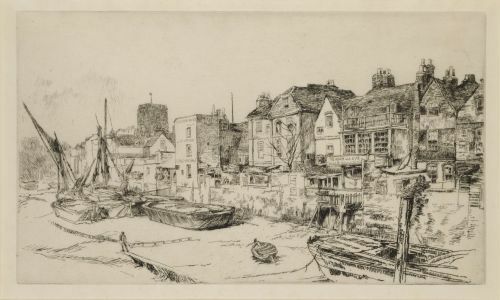 Whistler’s depiction of life on the Thames in Chelsea is retrospective. This work shows an old riverside inn, The Adam and Eve, next to rows of dilapidated buildings which were demolished during the early 1870s to make way for the Chelsea Embankment. Often working from photographic sources, Whistler created scenes with rapid, loose lines and a freedom of hand characteristic of Impressionist printmaking styles. 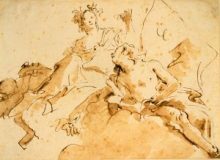 The figures in the foreground act as a reminder of man’s inextricable relationship with nature.